Since the beginning of time, indigenous people have lived off the land. In many places, this practice is still how families put food on their tables, hunting daily for the animals they share their surroundings with. Over time these sources of protein have become key ingredients in age-old dishes, and although many cultures have evolved away from hunting and gathering, the original meals remain a deep part of their culture, annual celebrations and even rituals. 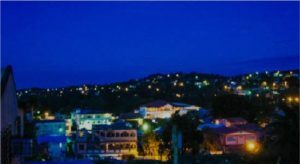 The case is no different in Belize, and many people throughout the rural areas of our country harvest deer, green iguana, gibnut, peccary, armadillo, game birds and hicatee turtles. Hunted for their meat, eggs and shells, the hicatee turtle is now listed as a critically endangered species by the International Union for Conservation of Nature (IUCN) and is facing extinction in the wild. It is the highest risk category assigned by the IUCN Red List for wild species, and the only critically-endangered reptile in Belize. The hicatee (Central American River Turtle) is a prehistoric survivor, with relatives dating back to the age of the dinosaurs some 65 million years ago. It lives at the bottom of rivers where it has the unique ability to absorb oxygen underwater, using its modified throat like a gill. Unlike most reptiles, the hicatee doesn’t bask in the sun, and they are completely herbivorous, eating decomposed vegetation on the river bottom. Adults can weigh up to 50 pounds, and their nesting period starts at the beginning of rainy season, where they often lay up to 12 eggs buried just below the water’s edge of a river or lagoon. With a hunting season that is only closed during the month of May, the hicatee have seen a swift decline in recent years, primarily due to over-hunting. 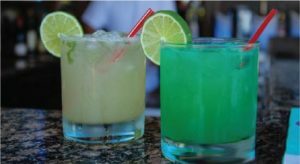 They are especially consumed during the 40-day Lenten season when many Catholics and other Christian denominations commit to ‘fasting’, and refrain from eating red meat. 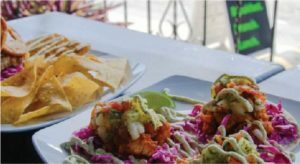 During this time, fish and hicatee are mainstay menu items for many Belizeans. 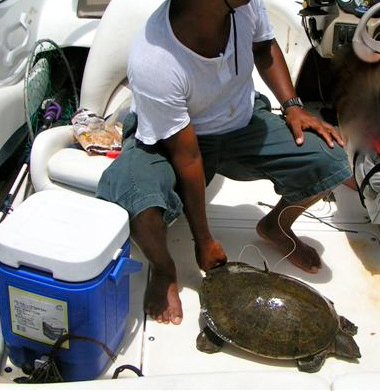 Using spears and free diving for the turtle, for years Belizeans primarily hunted hicatee for personal consumption. Now, they are harvested commercially, even setting nets across the entire river for mass collection. 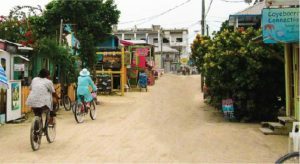 The turtles are sold to restaurants and events like Ruta Maya, and to countries like Guatemala where the demand for hicatee meat is growing. This over fishing explains the catastrophic decline in the wild population. Hicatee turtles have a very limited range that spans from southern Mexico, to northern Guatemala and Belize. Our country has the distinct honor of being the last strong hold for these turtles, who are the last in their lineage. In an effort to save the hicatee turtle, the Belize Foundation for Research & Environmental Education (BFREE), Turtle Survival Alliance, Belize Fisheries Department, other non-governmental organizations and individuals joined forces a number of years ago to form a network called the National Hicatee Conservation and Monitoring Network. 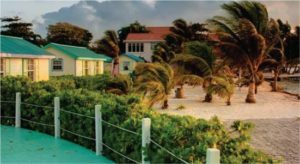 Educational outreach programs have taken place all over the country, and a facility for the captive breeding of hicatee has been built at the field station at BFREE called the Hicatee Conservation and Research Center. 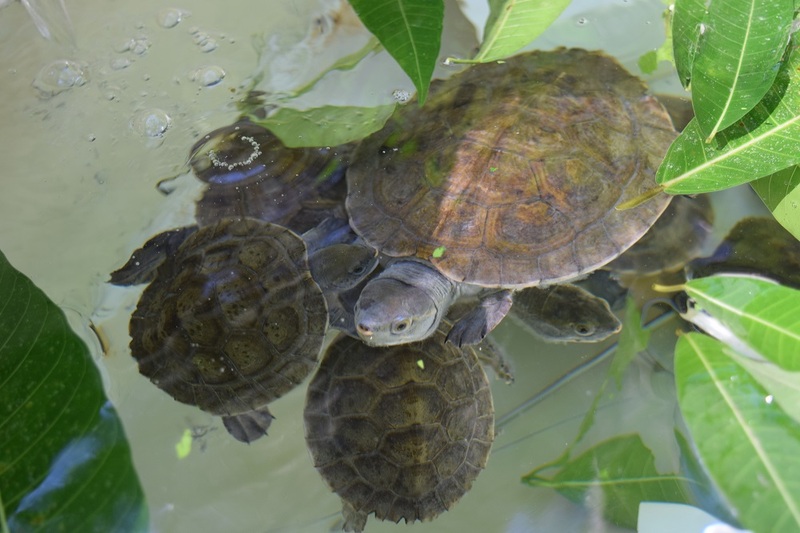 Here researchers have begun to learn the breeding ecology of this endangered turtle. Turtles confiscated from illegal hunting are now used in the breeding program, and based on the research gathered, the team hopes to make well informed decisions when it comes to recommending their management. 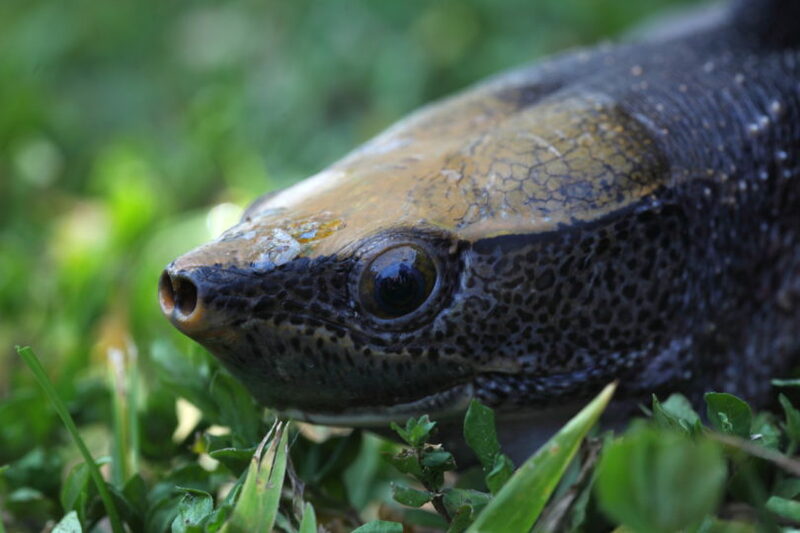 On October 2nd, in conjunction with World Habitat Day, a new film “Hope for Belize’s Hicatee: Central American River Turtle” will be launched, with plans to dedicate the month and the film to a huge awareness campaign throughout Belize. 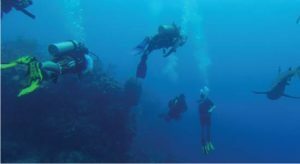 The film is a 16-minute documentary produced by Richard and Carol Foster of Wildlife Film Productions with assistance by the international organization, Turtle Survival Alliance and Belize BFREE. 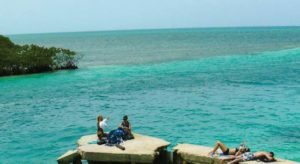 The film shows the turtle’s precarious status across its range, discusses its rapid decline and details some of the current efforts to preserve the species in Belize and efforts to prevent its extinction. 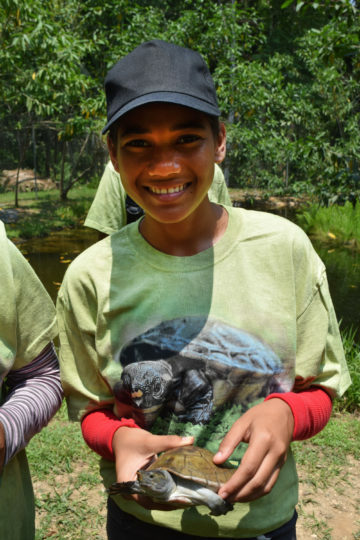 The film will be launched online and in classrooms and community centers in Belize, and throughout the month will be shown by members of the network and by others who care about the hicatee turtle and conservation of all of Belize’s natural resources. National Hicatee Day will take place on October 17th and is a day to recognize the hicatee as an important animal for Belize. 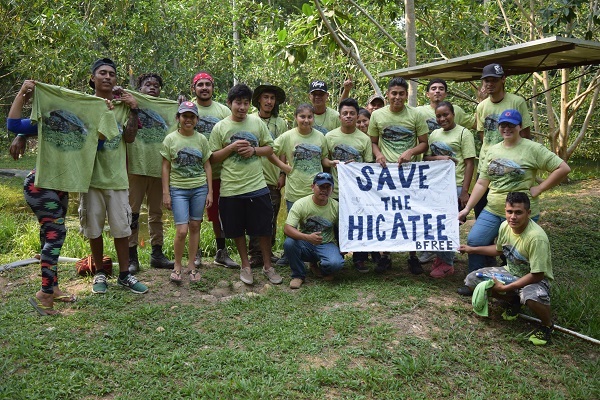 BFREE will be promoting a Save the Hicatee campaign in which people pledge to take positive action by agreeing to support the conservation of Belizean wildlife like the hicatee turtle. They have created a banner that has already been signed by hundreds of students in show of their support, and are encouraging others to create additional signature banners or signs. 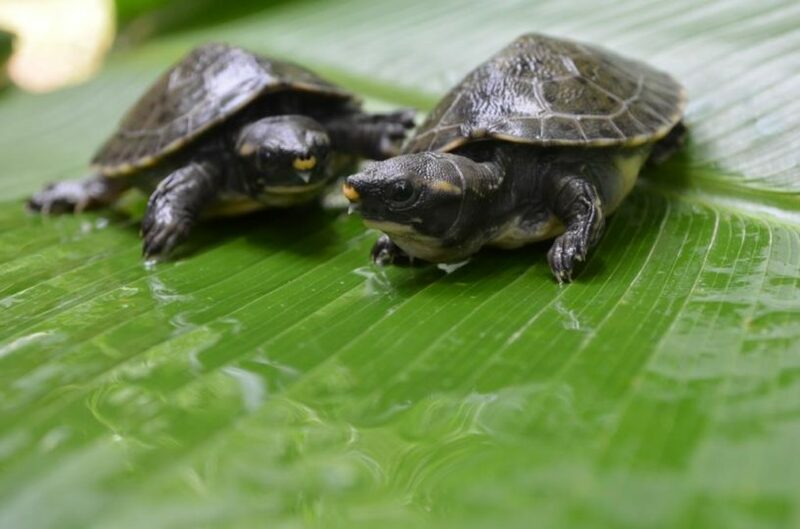 BFREE is also working on establishing the hicatee turtle as the National Reptile of Belize, and want National Hicatee Day to be an opportunity for people to show their support of this idea on social media by wearing green and taking a selfie or group picture with their sign or banner. Conservation and education is essential to the survival of the hicatee, and the next ten years could prove critical to their survival. 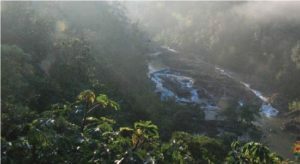 You can learn more about these conservation efforts and how you can help by visiting www.bfreebz.org/hcrc.